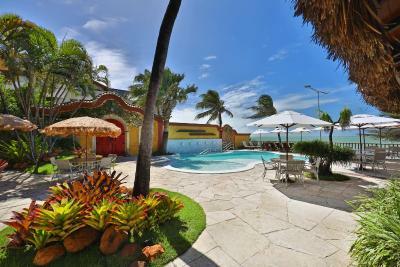 Lock in a great price for Manary Praia Hotel – rated 9 by recent guests! The rooms are wonderfully decorated and spacious! Loved the private balcony and the hammock outside. The pool was wonderful, along with the restaurant - a definite must to eat there for dinner or lunch! The staff are super friendly and very accommodating. Great location, and great views. It was a great surprise to meet the Hotel Manary. 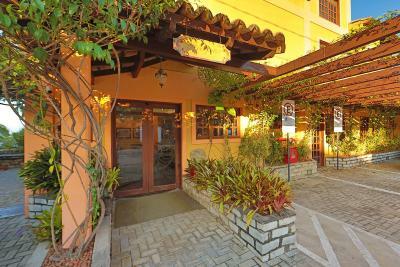 The ambiance and staff are wonderful, the restaurant is fantastic, the taste of each dish offered is unique. Difficult was to find any bugs or problems at the Hotel, far exceeded our expectation, amazed. The staff was extremely helpful. The pool and restaurant ambiance was really good. Very kind and and attentive staff in a special charming atmosphere! 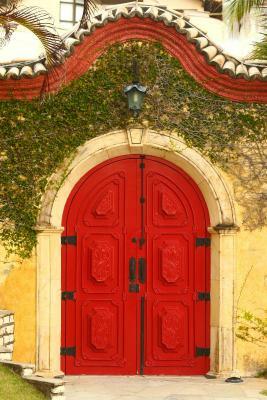 Even if the staff did not speak any other language than Portuguese, they are very kind and helpful. A woman at the restaurant practised during our stay some words in German. And the reception ordered a Meatsandwich, since we were quite hungry when we arrived and the hotel restaurant was already closed. The design of the hotel is nice! The restaurant was amazing. Also the recommendation of the photographer Diego is awesome! We had a great day with him! Excellent hotel staff, always very friendly and helpful, especially Gilberto. Wonderful breakfast with a huge choice of Brazilian breakfast options (e.g. 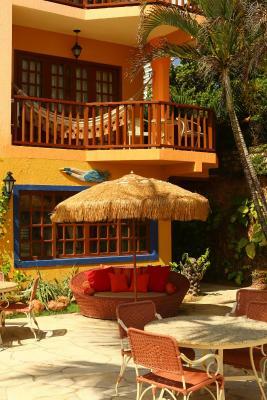 fresh fruits, fresh juices, freshly baked cakes, freshly made tapioca and scrambled eggs, etc......) Very comfortable bed and room size.Superb location in Ponta Negra. The location is amazing. Directly at the beach central location. it is only a short walk uphill to the restaurants. 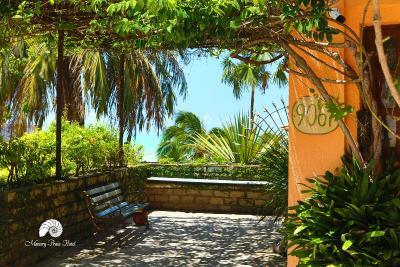 Manary Praia Hotel This rating is a reflection of how the property compares to the industry standard when it comes to price, facilities and services available. It's based on a self-evaluation by the property. Use this rating to help choose your stay! One of our top picks in Natal.Rising on the sands of the beautiful Ponta Negra Beach, the Manary Praia Hotel invites you to have a restful time in its spacious rooms and on the hammocks found on their balconies. The building has a neocolonial-style architecture and offers several leisure options, such as swimming pools for adults and children. 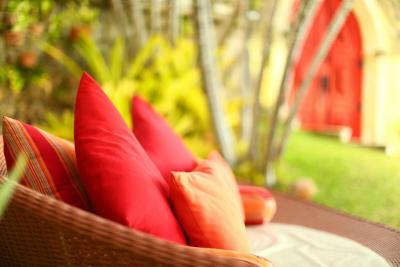 All comfortable rooms of Manary Praia are air conditioned, fitted with a balcony, cable TV and a mini-bar. From some room categories, you will be able to admire a view of the beach and as an extra, free toiletries are provided. 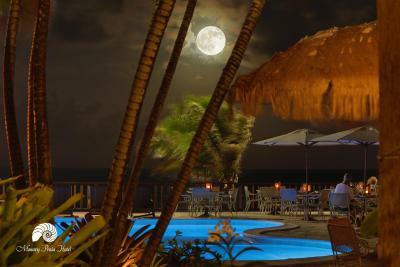 The Manary Hotel also provides a poolside bar and restaurant with beautiful sea views, as well as room service during limited hours. It is only 1.2 mi to reach Morro do Careca and within a 1,000 feet radio guests will find several shops, restaurants and bars. To get to the airport, guests will take more or less one hour by car, since it is 21 mi away. 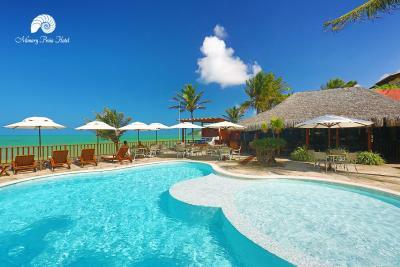 When would you like to stay at Manary Praia Hotel? This nonsmoking spacious double room offers a sea view. 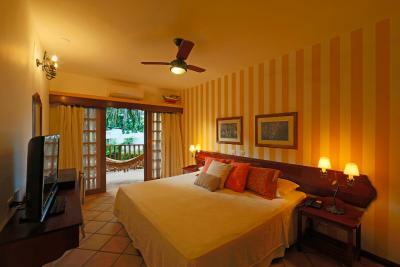 This nonsmoking spacious room offers a canopied bed and sea view. This nonsmoking double room does not have a view of the sea. This nonsmoking triple room does not have a view of the sea. House Rules Manary Praia Hotel takes special requests – add in the next step! Manary Praia Hotel accepts these cards and reserves the right to temporarily hold an amount prior to arrival. Please note that this property charges an extra service tax of 10%. Please note that the property is 100% nonsmoking. It's forbidden to smoke in any area of the property, even in the open areas. If the room and bathroom can be bigger would be better! The room - it was very hot and small. Also, there is no gym facility and a charge for the sauna. The restaurant is good for lunch and dinner. The breakfast was lackluster and really doesn't match the quality of food served from the restaurant at lunch and dinner. The facilities are nice, spacious, albeit maybe a little dated. There was no US plug point in the room unlike the other hotels I stayed in at Brazil. Cleaning, attention to details (burned lampshades, cleaning of bed side tables lamp), strong room smell. Limit of time up to 3 PM for use of the sunshade and sunbeds. Hotel provides it at per guest request on daily basis. It should be extended 2 hours more (up to 5 PM) that is still sunbright. In my room it was a bad sígnal of internet. It should be improved for tourists from abroad like me.